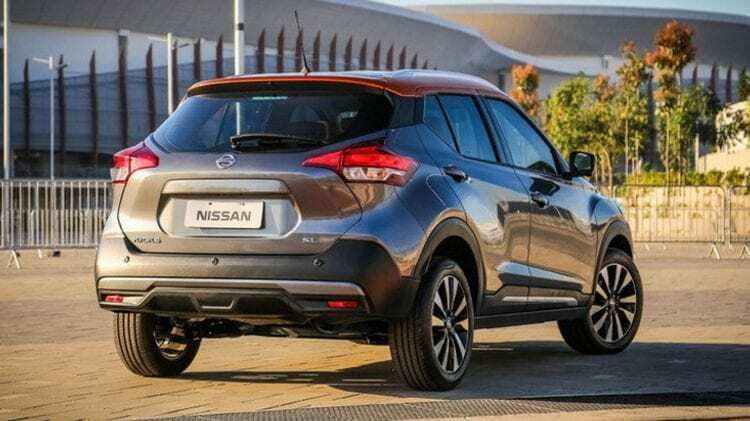 The 2017 Nissan Kicks is latest crossover offering from a Japanese company. 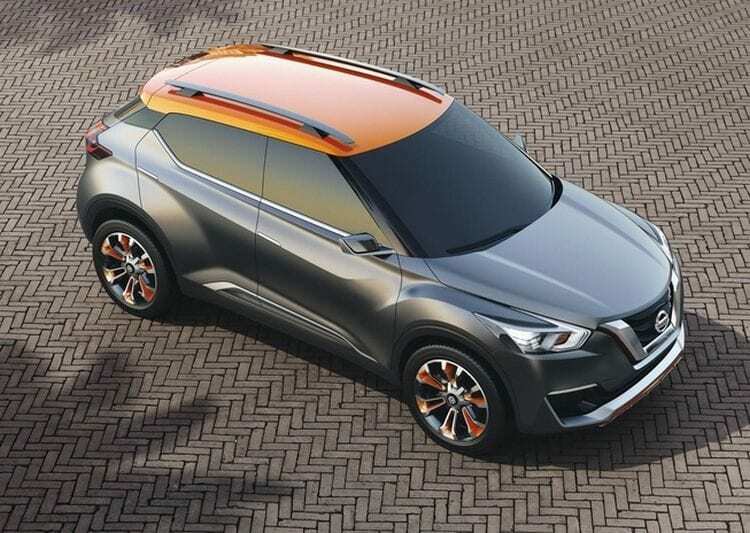 It’s mostly based on the old Nissan Kicks concept car we saw back in 2014 at the International Auto Show in Sao Paolo. The production version is remarkably similar to the concept car, something not many models can claim and proudly state. The more aggressive stuff has naturally been toned down, but the basic lines and not all features are a carryover from the concept. The big features here are the floating roof with the “wrap-around visor”, an enhanced infotainment system and the largest second-row space in the entire segment. Full details about Nissan’s latest SUV offering haven’t been yet released, but we expect them to be officially published during summer. 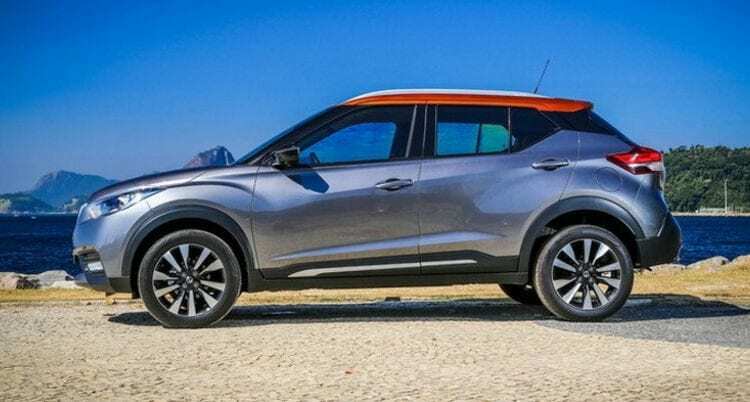 With rumors that the Juke is soon to be discontinued (albeit hard to believe with the model’s success and good sale results) we can certainly expect the Kicks to be a replacement for it. Another just as likely possibility is that the Kicks will coexist alongside the Juke, particularly because it’s a slightly different offering both dimension and styling wise. Whatever the case may be, production of the Kicks is imminent. For now, however, let’s take a closer look at the new vehicle and its unique features. Like we said, the exterior appearance is very similar to the concept car presented couple years ago. The official debut car had the same gray, silver paint and the orange finish on the floating roof. Naturally it has the V-motion grille from various other Nissan models that place it nicely into existing lineup of models and brings it closer to current design language. The boomerang-shaped headlights, the very same units recess into the front fascia and sit below the hood. The inner points of the fascia slant up to touch the upper parts of the grille. The hood is very smooth, and it only has a small ridge disrupting the entire surface. It’s located before the drop at the waistline on both sides. Below, the fog lights have been integrated into the very outer edges of the fascia, and the sizeable air dam is located above the bottom lip, and it runs between the cutouts. The rear section of the side view and the roofline is very reminiscent of the Juke but still manages to differentiate itself. The front is different thanks to the longer and much lower hood and roofline. Close your left eye and look just at the rear section and you just might be fooled into thinking it’s a Juke. Perhaps the rumors that it will replace the Juke aren’t so far off the mark after all. The way the rear quarter panels and wheel arches poke out also suggests this one might replace the Juke. We’ll have to wait and see, but we’ll be really sad to see the unique Juke disappear if indeed the rumors do turn out to be true. The back turns out to be the most interesting part of the entire vehicle. The short overhang at the rear hatch is finished in the same color as the roof. The outer edges of the rear doors are connected with a black coloration and the rear quarter has the same feature as well. The taillights do have a slight boomerang effect too, but it just looks weird located at the back. The reverse light is extremely wide because of this and gives off an unfinished look. The hatch has an hourglass shape, something unique and we’ve did not see many similarities with other cars. Very cool for sure, but it may be a bit of a hassle to get stuff in and out. All in all, we like the design. We can’t say we like it more than the Juke, however; it’s up to you to decide which one you like more. If you thought the exterior was special and unique, wait until you get a glimpse at what you get inside. The “Gliding Wing” dashboard is present with the 2017 Nissan Kicks and wow is it amazing. The rim which curves at the top of the dash has a perfect transition towards the door, making a perfect styling line. Not only does it look good, but it feels great once you’re inside. It gives you a feeling of sitting in a bubble, somewhere extremely safe and protected. It’s crazy what a small detail like that can achieve. The HVAC vents are round and integrated into the dash, giving it a hump. The elevated area of the dashboard itself houses the instrument cluster along with the center vents just below it. Now, the actual instrument cluster is a hybrid. The traditional analog needle is used for the speedo but to the left of the speedo, we have a rectangular display with every possible information about the car. Normally we’d say that the materials are below average but at the price point of the Kicks, they’re not that bad. The fit and finish are classic Nissan, which is to say decent at least, and even maybe excellent. Nothing squeaks and rattles and if the other models are any indication, it will remain that way for a long time. The drivetrain remains the biggest mystery regarding the Kicks. The only thing that’s been officially confirmed is that it will come with an automatic transmission. We concluded that from the interior pictures featuring an automatic shifter as well, but there’s no telling whether the auto will be the only option or a manual one will be thrown into the mix. Knowing the market of this crossover, it’s likely that we will get to see a manual gearbox option also. Whether or not it’s a replacement for the Juke, expect to see the same 1.6-liter turbocharged four-cylinder unit under the hood developing 188 hp. We could also see the 2.5-liter naturally aspirated from the rogue producing 170 hp although, given the size, it’s more likely that the smaller engine will be used. Just like the Juke, the Kicks will be sold in a lot of markets worldwide, Brazil being the main one. Honestly, the drivetrain area is still anyone’s guess. It may as well have a 1.2 unit, a 1.5 or even a 1.6-liter diesel. Prices are still unknown as well, although it should start somewhere around the $20,000 range. Being a rough estimate, prices could be anywhere from 17k to 22k. We’ll have to wait and see. We know that Juke starts at slightly above $20,000, so it is the range where we expect to see Kicks also.